Valletta is the capital of Malta and home to several ICT clusters. Many logistics and transport companies are located in this city. In order to make the local industry more competitive, KnowledgeHut has organized several workshops on CSD certification in Valletta. Each workshop will be conducted for 5 days and be led by certified tutors. To gain an in-depth understanding of Scrum and Agile principles, join the CSD training in Valletta. Learn the basics of Scrum, its frameworks, and the roles and principles in the 2-day workshop. If you have a CSM certification, then you can directly attend the 3-day CSD Technical Training programme. Pick up advance level concepts of Scrum and Agile in the CSD certification in Valletta through various methods like practicals and working on live examples. The CSD training in Valletta is meant for all those software professionals who have a keen interest in software architecture, development, testing, QA professionals, product/project managers. An essential qualification for attending this workshop is that you must hold a CSM credential. 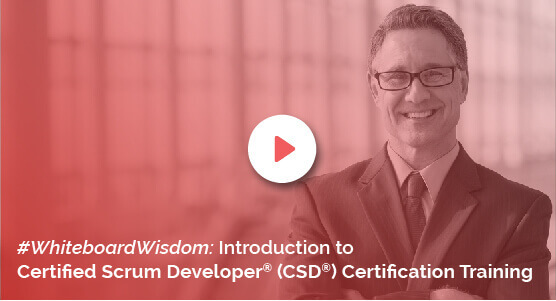 If you don’t possess this qualification, you can still attain the Certified Scrum Developer certification in Valletta by satisfying certain conditions. Enrol in the Certified Scrum Developer training in Valletta and get free access to online learning materials for 100 days. Network with other Scrum professionals with the help of a 2-year membership in the Scrum Alliance. One important feature of the CSD course in Valletta is that the exam fee is included in the overall cost of this unique academy. The e-learning program organized by KnowledgeHut is delivered using classroom training that blends easy accessibility with a cutting-edge online learning platform. To learn more about the learning methodology and platform of KnowledgeHut’s training session, register for a demo session today.